Books, books, books. Labor Day weekend 2013 for me was all about celebrating authors and their gift to us — storytelling in all its forms. I attended my first Decatur Book Festival, beginning Friday with the festival’s well-organized Writers Conference, which I will blog about in more detail soon. 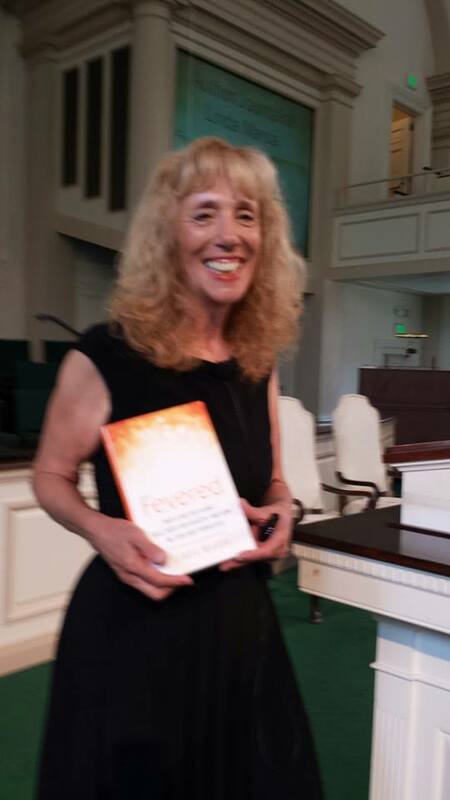 It concluded with two great Science track author talks on Sunday, including a presentation by Linda Marsa, author of Fevered: Why A Hotter Planet Will Hurt Our Health and How We Can Save Ourselves. In more than two decades as a journalist, Linda considers this book to be the most important story she’s ever covered. I believe her. Linda and I have a common passion – public health writing. I’ve spent 13 years as a freelance writer for CDC; she’s a contributing editor for Discover, where she regularly reports on science, medicine and health trends. We met “virtually” earlier this year when I was looking for editorial help with a client project. Linda’s devotion to getting the science right while crafting a narrative that engages people — is her gift in Fevered. She balances expert interviews from leading scientists, climatologists and public health practitioners, with real-world examples of climate change’s disruptive force pulled from today’s news headlines. 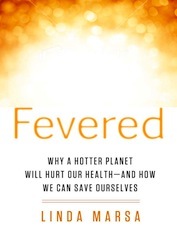 The message in Fevered is indisputable: Global Warming is here and is the biggest threat to human survival. “Rising temperatures could trigger pestilence, drought-induced food shortages, raging firestorms, massive migrations, political instability and wars,” writes Linda. During her talk, this California author observed that most Americans see Global Warming as an abstract concept — “something that is going to happen in 20 or 30 years.” But, it’s already happening and not in far-flung places but right here at home, from the hot weather and intense rains and hurricanes exploding across the country to the emergence of exotic diseases such as Hantavirus Pulmonary Syndrome that claimed two lives of people who visited Yosemite National Park last summer, and West Nile Virus, where more than 1,400 people have died in the U.S. since it was first detected in New York City in 1999. Rising temperatures that trap carbonates in the air has also led to spiraling rates of asthma and allergies, as well as spikes in heatstroke-related deaths. A key culprit for the heating planet is no surprise: the staggering amount of CO2 being dumped into the atmosphere. Linda noted that the planet has headed up 2 degrees Fahrenheit since the Industrial Revolution, a very significant development, as Linda shares below in an expanded Q&A interview with The Writing Well. Author Linda Marsa right before her talk at the Decatur Book Festival. Q. What locations did you visit to help understand the effects of global warming? I want to various places around the country that are already feeling the effects of a warming planet, including New Orleans, New York, California’s Central Valley, the SF Bay Area, and Long Beach. I also went to cities that are pioneering model programs that will smooth the path to a cleaner, greener, more sustainable future, like Vancouver, Seattle, and Orange County, California, which is a world leader in water management. Q. What was the most challenging aspect of working on Fevered? There were two very challenging aspects. I had to come up to speed on some very complicated science, including climatology, atmospheric physics, oceanic currents, farming techniques, water management history and strategies, and migratory patterns of disease vectors, like mosquitoes and ticks. Then I had to figure a way of describing all these things that was accessible to the general public. The other difficult piece was finding ways to bring climate change–which can be abstract science–to life and illuminate the harsh reality of what life will be like on a warming planet with stories about real people who were already feeling the effects of climate change here in the U.S. (and in Australia). Q Which scientific / public health sources did you find most compelling in writing this book? I stumbled across NASA research that indicated that the 1930s Dust Bowls were caused by just a one degree change in the surface temperatures of the oceans. That’s when I realized I had a book because this illuminated the fact that just a one degree change in the weather can have far reaching consequences. There were many public health officials, especially at the CDC, who were very helpful. I think the stories of the heroic doctors in New Orleans–who worked round the clock in unimaginable conditions to keep their patients alive–were incredibly compelling. Q. What would you like to see happen as a result of your book? People need to understand the climate change is real, it is happening and it is affecting all of us, even here in the U.S. I’d like to see people become motivated to dramatically reduce their carbon footprints, and get active and get involved to smooth the path to a cleaner, greener, healthier future before it is too late. This entry was posted in Author Interviews, Writing Conferences and tagged author interview, CDC, climate change, Decatur Book Festival, Fevered: Why A Hotter Planet Will Hurt Our Health and How We Can Save Ourselves, global warming, Linda Marsa, Science writing on September 3, 2013 by AnneWainscott.